“Let patience have its perfect work, that you may be perfect and complete, lacking nothing” James 1:4. Seated at my own desk in Kota Kinabalu this morning having just returned from Vietnam, and as I review the ‘happenings’ this past month of July in my Gratitude Journal, I can only thank God for His patience in my own journey to make it right with a Holy, Sovereign God. When our earnest desire is to seek after the heart of God, if the intentions are right, God is always faithful to meet us at any time and at any given place to receive His warm embrace of grace and forgiveness. Patience is the fruit of God’s Holy Spirit. In some bible translations the word used is forbearance or longsuffering. So many times I have strayed off into the broad road that leads to eternal hell but patience has always brought me back to the narrow road that leads to eternal life with the Father. The end product of God’s design and purpose is that each one of us is made perfect and complete in Christ Jesus, lacking nothing. The Torah portion for the month of July in ‘A Taste of Torah’ is from the Book of Numbers. Numbers 32 to 35 is like a ‘sandwich’. When we buy any type of sandwich, the difference is always what is in the center – tuna, chicken, ham, sardine and the list goes on. Similarly, Numbers 33 is the center spread of this ‘biblical sandwich’ and it relates to ‘Stages in Israel’s Journey’ – our Journey (July 26 – My Gratitude Journal). The outer two layers are found in Numbers 32 which speaks of ‘Making Choices’ (July 27) and Numbers 34 which speaks of ‘Boundaries’ (July 28). Ultimately, the end result is God prepares His people to ‘becoming entirely His own possession – a Holy Nation, a Royal Priesthood’ where God can come and dwell with His people. Consider the details described in Numbers 33:9 – twelve springs of water and seventy palm trees. In the context of our Torah portion and a central theme of the whole Bible is that of a journey; our life journey. The clue is the number 70, which correlates with a life span of “three score years and ten” (Psalm 90:10). The number 12, in relation to this, corresponds with the months in a year. Each year marks a milestone in our life’s journey. It is “this” journey that is of ultimate importance in the eyes of our Father in heaven. God will bring us back in countless ways to the same point over and over again until we learn the lesson of His perfect will for our lives. ‘Becoming Entirely His’ – ‘A Holy Nation, A Royal Priesthood’ is God’s purpose for our journey in this life. His purpose is to produce the finished product. God will allow NOTHING to escape; every detail of our lives is under His scrutiny. Not only must our relationship to God be right, but the outward expression of that relationship must also be right. Through this process, God is trying to impress upon us the one thing that is not entirely right in our lives. I write this morning’s meditation and reflection with fear and trembling because I am typing this message to my own heart. With the most persistent patience, God has brought me back, again and again, to deal with the plague in my own heart so that the finished product will be ‘BECOMING ENTIRELY HIS’ own possession in this life so I will appear with His Son in glory. Amazing grace! 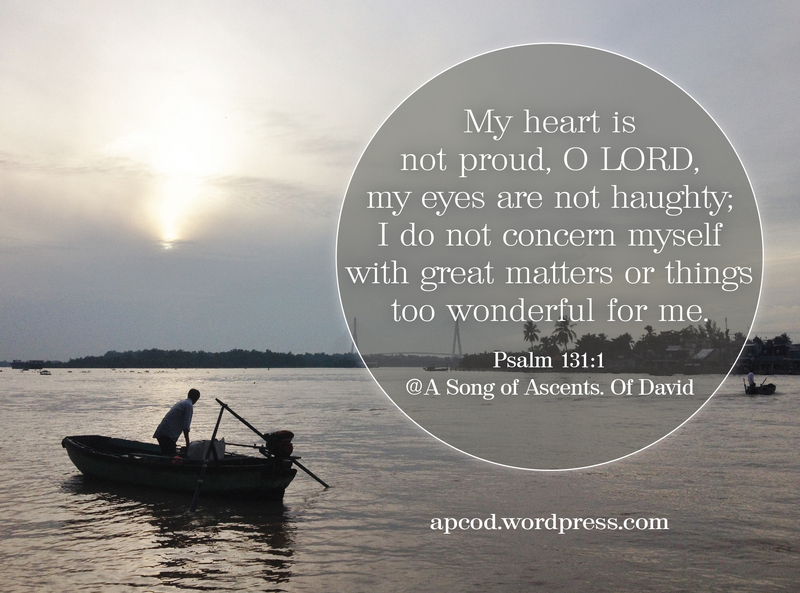 Psalm 131: A Sanctified Heart – A Song of Ascents. Psalm 131 is both by David of David. It speaks of a man who seeks after the heart of God from a sanctified heart of his own. It comes from the depths of a soul that has been humbled and low in spirit before a Sovereign Holy God with a will that is subdued to the mind of God. Lowliness and humility walk before holiness and tranquility. After any spiritual captivity, Psalm 131 is an expression of a sanctified heart in gratitude to a forgiving and merciful God. David was a man after God’s own heart yet he acknowledged the plague in his own heart. The Prophet Jeremiah lamenting on Judah’s sin declares: The heart is deceitful above all things and beyond cure. Who can understand it? “I the LORD search the heart and examine the mind, to reward a man according to his conduct, according to what his deeds deserve.“ Jeremiah 17: 9-10. What the heart desires the eyes look for. Can a man solemnly protest to the LORD that his heart is not haughty: not proud in his opinion of himself, contemptuous to others, nor self-righteous before the Lord; neither boastful of the past, proud of the present, nor ambitious for the future nor eyes lofty? When the heart is right, and the eyes are right, the whole man is on the road to a healthy and happy condition. Let us take care that we do not use the language of this Psalm 131 unless, indeed, it be true as to ourselves; for there is no worse pride than that which claims humility when it does not possess it. The focus of the first verse is humility, which sets the foundation for the rest of the psalm. King David had every reason to harbor pride in his heart. When he was anointed by the prophet Samuel as King over Israel, he could have lorded it over his surprised brothers. As a young boy he killed Goliath, as a young shepherd he killed a lion with his bare hands but he attributed his success to God. “It was the LORD who delivered me out of the paw of the lion.” 1 Samuel 17: 37. Throughout his reign he did not take any glory for himself but kept his eyes and his heartfocused on the LORD. 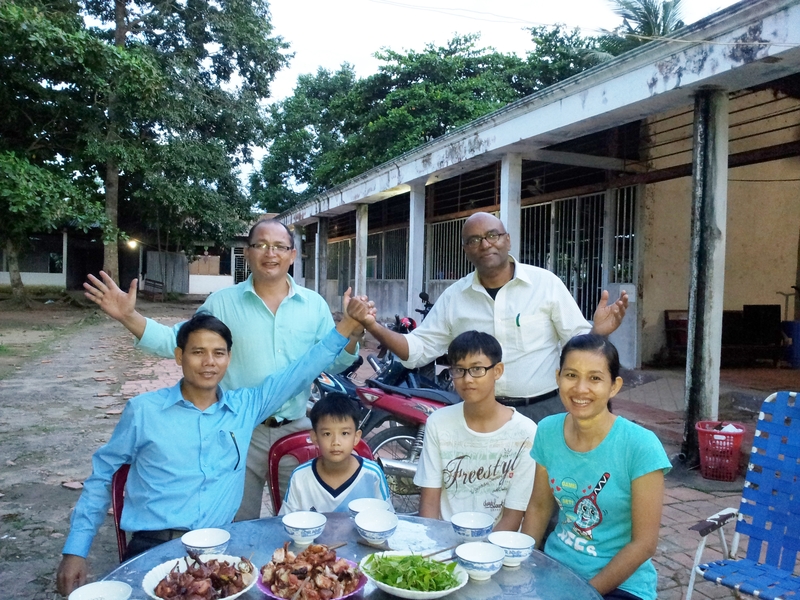 My time in Vietnam with Pastor Tan Lo and friends in Christ has been a blessed one of learning humility through wholehearted service to a loving, forgiving God. As I depart for Kota Kinabalu, Malaysia today, I pray as I record the stages in my own life’s journey in my Gratitude Journal that, like David, I will sincerely be able to sing ‘My heart is not proud, O LORD, my eyes are not haughty…before you alone, O God’ from a heart that has been truly sanctified by the grace of God through faith in the Lord Jesus Christ. Let this be our prayer always, Amen! ‘In the Bible, clouds are always associated with God’. 19 years have passed since the visitation of God and I know that there have been many, many providential circumstances within and without in my personal life where God has been alone with me in the cloud and times when the cloud is filled with many other people, ambitions, goals, possessions and thoughts other than God. I know it. How easy it is to forget even a providential meeting with the Only One and Living God, Jesus of Nazareth. I now understand why the Lord suddenly stirred in my heart to come to Vietnam. The Lord is gracious to bring us to a secret place to meet with the Father so we can return to Him and serve God alone. But to enter into the cloud to meet with God, I must be clothed with the fear of the Lord. I pray that this meditation this morning will be a constant reminder that Jesus will always be in my cloud like when He first came to call me on that providential day in February 1995. I pray it is your prayer too. The LORD God here directs Moses to command the children of Israel concerning the boundaries by which the land of Canaan was to be bounded on all sides. It’s limits, or bounds are clearly described so that the people will be contented with this small stretch of God’s possession to them and not seek to enlarge their empire, after the manner of the other nations. God had promised to Abraham a much larger portion for all his descendants even to the great river Euphrates in Genesis 15: 8 but this was God’s initial portion, smaller but abundantly compensated by its fruitlessness. There are spiritual boundaries in our life too. So often I have ‘crossed over’ from God’s territory into enemy territory and brought trials and difficulties and sin into my own life. The ‘plague in my own heart’ cries out for the old life in ‘Egypt’ instead of being contented with the new life in Christ. The setting up of the spiritual boundaries in our lives is the cost of sanctification. This cost will be a deep restriction of all our earthly possessions and concerns and an extensive cultivation of spiritual disciplines enabling us to be focused on God’s point of view and purpose in our lives. Only God can enlarge our boundaries. Oh may we pray the ‘Prayer of Jabez’ that God will enlarge our boundaries so we may serve Him more in this life and be faithful to the Lord in all that we do. 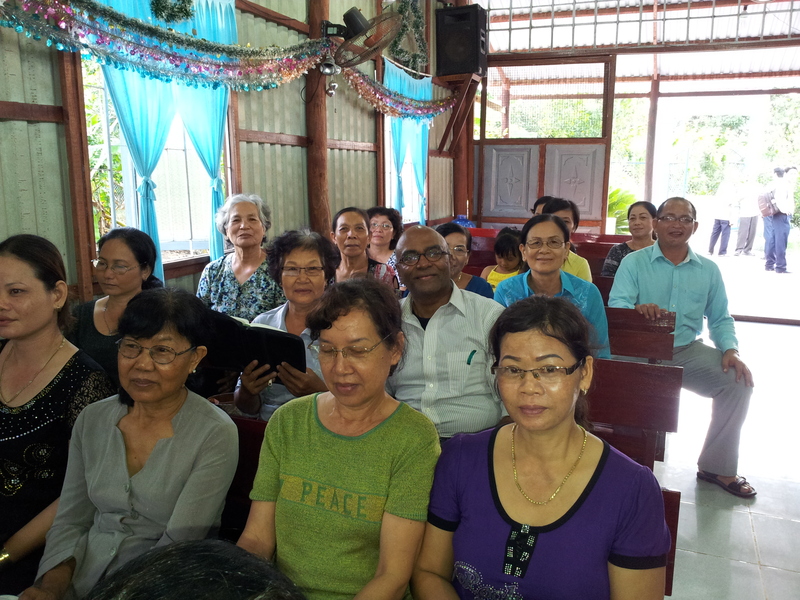 I see this here in Can Tho city, Vietnam in the ministry of Pastor Tan Lo. Because he was faithful with the little, he is now serving a much larger area and more churches are being established because of his faithfulness to serve. May the Lord bless us and enlarge our territories that we may bear fruit to a loving, forgiving God. Amen. The Torah portion this week concerns Journeys, Ma’asei. In yesterday’s reflection, I mentioned that in Numbers Chapter 33, at the LORD’s command, Moses recorded the stages in Israel’s journeys when they came out from Egypt. Numbers Chapter 33 is sandwiched between two important chapters in Israel’s history – Chapter 32 speaks of ‘Making Choices’ and Chapter 34 speaks of ‘Boundaries’. In Chapter 32 we learn that the two tribes Reubenites and Gadites who had very large herds and flocks saw the lands of Jazer and Gilead were more suitable for their live stock than what the Lord had set aside for the children of Israel, a land flowing with milk and honey, the promised land. So they approached Moses and Eleazar the priest and the leaders of the community and requested that they preferred to not cross over the Jordan because the lands they had seen was more suitable for their large live stock. They were not prepared to trust God and wait upon the LORD until He brings them into the promised land. Moses rebuked them and reminded them of the time when he sent their forefathers from Kadesh Barnea and gave them the opportunity to look over the land the LORD had promised on oath to Abraham, Isaac and Jacob, but they discouraged the rest of the children to not cross over. The LORD’s anger burned against Israel and He made them wander in the desert for 40 years. As a result of their rejection of the Lord’s favor upon them, only two were allowed to enter into the promised land from that generation – Joshua and Caleb – because their hearts followed the LORD wholeheartedly. So often in our own life’s journey we have to make choices. Often we make wrong choices because we are not patient enough to wait upon the Lord and seek His wisdom and understanding. By refusing to cross over the Jordan, the Reubenites and Gadites would have missed out on ALL the inheritance the LORD GOD had set aside for them. They settled for their own properties, not for what was unseen. Most of all they would have missed seeing the glory of the LORD fill the temple of the LORD (2 Chronicles 5:14). The favor of the LORD was not upon them. Where the favor of the LORD rests, there the glory of God dwells. I am writing this journal from Can Tho City in Vietnam. Dong Phu Church in Hau Giang province is at a stage of making a move to a new location and there were some members in the church that were not wholeheartedly involved in the decision-making process because they were contented with what they could ‘see’, their present church surroundings, but not ready to make a move to a place that they could not see as a plan of God. I shared about the journeys of the children of Israel in Numbers Chapter 33 and the important decision they had to make about ‘Making Choices’. It was a wonderful time of refreshing and restoration. God allows us to make choices but he does not give us the right over the consequences of the choices we make. He is still the Judge. May God bless us as we record all these stages in our own journey with the Lord. We must always fix our eyes upon Jesus, not on things seen in the temporal but on what is unseen. I know that there have been many instances where the choices I have made in my journey have not been according to the will of God. I pray we will always have a heart of submission to wait upon the Lord so the choices we make are according to His good and perfect will. Amen. Yesterday I attended the funeral service of the mother of a dear brother and friend in the Lord. As he spoke and bid a final farewell to his dear mother, he remembered the stages in his own life’s journey where she was always there for him and he recounted the final stage of events in his mother’s own journey until she finally departed to meet with her Lord in glory.The central theme of the whole Bible is that of a journey; our life journey. The Torah portion for the month of July ends in the last week from today (26/07) with an overview of the journeys of the Israelites when they came out of Egypt and through the wilderness – Ma’assei, Journeys. The forty years of wandering in the desert by the Jews had finally come to an end. At the LORD’s command Moses recorded the stages in their journeys. Numbers Chapter 33, KJV, is replete with a repetition of the words “departed”, “removed”, “pitched”, “encamped” signifying movement. At the point of crossing over the Jordan into Canaan to take possession of the land the Lord was giving them as an inheritance to settle in, the LORD gave strict instructions that the Israelites destroy all the carved images, idols of worship and drive out all the inhabitants of the land. If the Israelites had left any inhabitants behind together with their left over idols and graven images, these would become barbs in their eyes and thorns in their sides. The journeys as recorded as stages through the wilderness was for one purpose: it was the way of purity into glory – from out of darkness (Exodus from Egypt) into His light by becoming a holy nation set apart to serve a holy God. This is a solemn reminder of our own stages of journeys that we have gone through with the Lord. Do we walk through the cycle of our years according to His Word and direction? Like any successful journey, it requires effort, preparation, focused attention and, sometimes, a sacrifice of our personal comfort. I know this journey of sanctification and purification is painful and difficult and the existing plague in my own heart is a witness of the remaining darkness from idols and carved images that are the barbs and thorns in my own life. The way of purity into glory is a test of a life journey to love God with all our heart, soul, mind and strength. This is the first and greatest commandment Jesus said to the expert in the Law: Thou shalt love the Lord thy God with all thy heart, and with all thy soul, and with all thy mind. Matthew 22:37, KJV For a true disciple of Jesus, the stages in our life’s journey brings us to a destination where we will finally appear with the Lord when He returns in glory. In the closing moments of the Service of Thanksgiving for my dear friend’s mother, the solemn assembly of family and friends sang her favorite hymn: The Lily of The Valley written by William Charles Fry who was the first bandmaster for the Salvation Army. I wonder how it might have been to hear the whole assembly of Israel sing this hymn to the Lord in His glory while making that final journey into the promised land the LORD God had prepared for the children of Israel – A journey from the desert to a land filled with milk and honey…our journey…my journey. 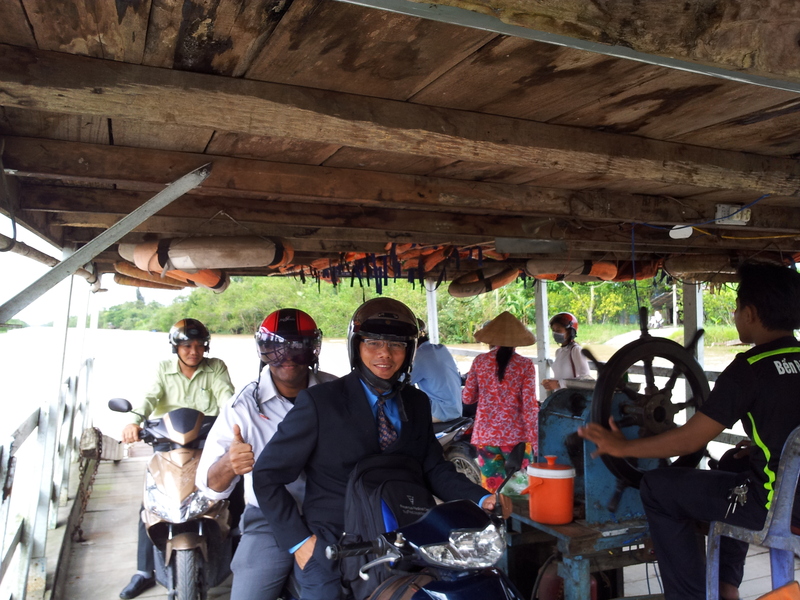 This morning I travel to Vietnam to serve the Lord through APCOD – another stage in my own journey to bless the Lord. I pray that in the final recorded stage of my own life’s journey, I will be found faithful in my service to God. From my heart and now He keeps me by His power. Like Oswald Chambers, many of us have struggled with the ‘dark night of the soul’ waiting upon the LORD to hear our voice, our personal cry of the soul, our prayers and supplications as we spread forth our hands to our forgiving Father in Heaven. No words can express the anguish of the soul, the pain, the distress when we sin before a holy God. Our relationship with God can only begin when we acknowledge the plague in our own hearts, our own human weakness – it must begin from there for true worship in spirit and in truth to take place. King David was overwhelmed by the plague in his own heart when he committed adultery with Bathsheba. “Against thee, thee only, have I sinned and done this evil in thy sight,..” Psalm 51:4 Out of the depths of his soul he cries out to God. This morning’s meditation is on Psalm 130, a song of ascents. Please read the Guest Post by Keren Hannah Pryor: Out of The Deep Have I Called: Psalm 130: A Song of Ascents – Sin, Forgiveness, Redemption for a full reflection on Psalm 130. After the evening sacrifice, the Levitical priests stood guard as watchmen on the tower till morning to protect the temple and surroundings. Here in this song, David’s soul waits patiently for the Lord to answer his cry, throughout the night he waits, longer than the time the watchmen take till morning. Have mercy on us O Lord, have mercy. 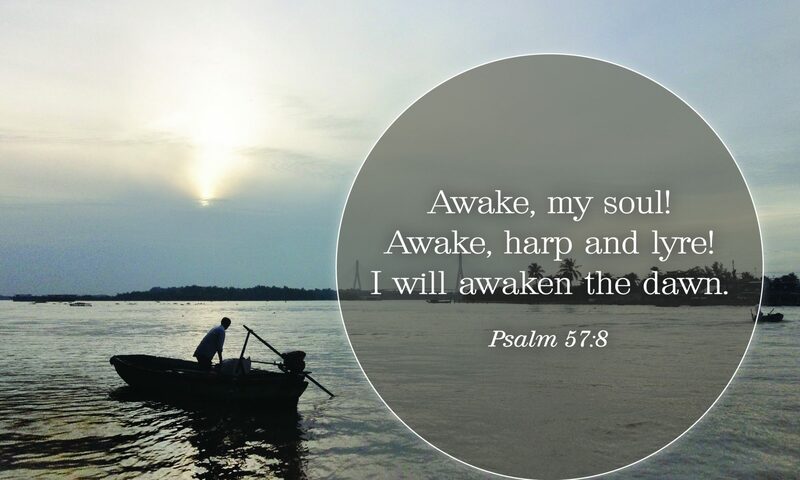 The Psalms, penned by King David and other psalmists, have been termed “harps of God” and it has been proven that when we read, recite or sing them, and meditate upon them, the healing, restoring and strengthening power of God is released through these His inspired Words. There are 15 Psalms of Ascent, that correspond in number to the 15 steps that ascended from the Women’s Court in the Holy Temple in Jerusalem, designed by King David according to God’s blueprint, to the Court of Israel. The Levitical priests would ascend these stairs playing numerous musical instruments and would pause, as they ascended, on each step and sing each of these Psalms composed with musical accompaniment by King David. Psalm 130 expresses King David’s only-too-human reflections on repentance and forgiveness, doubt and assurance, distress and optimism. Psalm 130: Out of the depths have I cried unto thee, O LORD; O Lord, hear my voice: let thine ears be attentive to the voice of my supplications. If thou, O LORD, shouldest mark iniquities, O LORD, who shall stand? But there is forgiveness with thee; that thou mayest be feared. I wait for the LORD, my soul doth wait, and in His word do I hope. My soul waiteth for the Lord more than they wait that watch for the morning: I say, more than they that watch for the morning. Let Israel hope in the LORD: for with the LORD there is mercy, with Him is plenteous redemption. And He shall redeem Israel from all his iniquities. “…unless your righteousness exceeds the righteousness of the scribes and Pharisees, you will by no means enter the kingdom of heaven” Matthew 5:20. 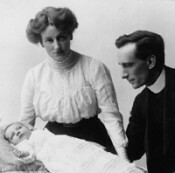 140 years ago today, Oswald Chambers was born in Aberdeen, Scotland on July 24, 1874. At the age of 15 years, he made a public profession of faith in Christ. His life was characterized by an agonizing internal battle. During a period of 9 years as a theological student, he matured and came through a long “dark night of the soul” into a deeper more joyful knowledge of Christ. Oswald married Gertrude Hobbs and he called her “Beloved Disciple”, shortened to initials B.D. and affectionately known as “Biddy”. They had one daughter, Kathleen. Reading Oswald Chambers writings every morning compels me to continually seek after the presence of God. Suddenly when I read about his agonizing inward battles and experiencing deliverance from a ‘dark night of the soul’, I realised he is human like me! He too faced the plague in his own heart but allowing God, the Holy Spirit to search his own heart and deliver him from the dark sides of his own soul brought him into a more meaningful, joyful walk with the Lord. The internal battles of the soul are always between ‘His Nature and Our Motives’, His Spirit and our flesh. How easy it is to spend the first few hours of the morning reading and meditating on the Word of God and then at the end of the day realise that my motives of doing what I have done for the rest of the day is contrary to what the Spirit of God is speaking to me through His Word. Krista Dalton writes about ‘Discovering the Moral Self’: If the body, then, is actually an important part of the production of the Christian life, then perhaps more focus should be made on the way in which our actions are socially and biblically informed. The body is situated in an embodied history. Our habits reveal the extent of our moral selves. Thus, the moral decisions we make are not based on an abstract universal standard but on the biblical virtues in the Word of God. It is no wonder that Jesus said “you will know them by their fruit,” Matthew 7:16 for it is not our minds that govern our moral decisions but our very bodies betray our true moral selves. Who can stand in the eternal light of God and have nothing for Him to rebuke? Only the Son of God, and Jesus Christ claims that through His redemption He can place within anyone His own nature and make that person as pure and as simple as a child. The purity that God demands is impossible unless I can be remade within, and that is exactly what Jesus has undertaken to do through His redemption. The only thing that exceeds right-doing is right-being. The characteristic of a disciple of Jesus is not that he does good things, but that he or she is good in his or her motives, having been made good by the supernatural grace of God. I remember narrating this story many years ago. It was about a lovely little girl who had a very stern father. One day it was the father’s birthday. So to surprise her father with a gift, she wrapped up a box in many layers and presented it to him on the morning of his birthday. The father, with no emotions expressed, took the box and began to unwrap the layers of paper, layer after layer after layer, until the bare coverings of the box was reached. When he finally got to open the box he was shocked and disappointed. The box was empty! Angry, wild with rage and fury, he threw the box away annoyed that the young daughter could do such a thing to him. He shouted at her and rebuked her for giving him an empty box for his birthday. With tears rolling down her cheeks, she cried, ”But Daddy dear, the box was not empty at all. I took a deep breath and blew all my kisses into the box to wish you a blessed birthday and closed the box so the kisses would not fly away. The box was full of my love for you, Daddy, but you threw it all away. Oh Daddy, why? So often we take for granted God’s protection over us when we face trials and difficulties. So often we take for granted His provisions in our lives. So often we take for granted the gift of salvation through the death, burial and resurrection of Christ Jesus our Lord. It is a gift wrapped up in the unconditional, everlasting, unending covenantal love of God, the God of Abraham, Isaac and Jacob. Can the perfect qualities of Jesus exhibit themselves in my human flesh? Can His wonderful life be imparted to me so I can live a holy life that is pleasing to a holy God? Can the fruit of my life be an answer to the forgiving grace of a loving God? Sanctification means nothing less than the holiness of Jesus becoming mine and being exhibited in my life. The mystery of sanctification is that the perfect, holy qualities of Jesus Christ are imparted as a gift to me once I enter by faith into the realisation that “Christ became for (me)…sanctification…:” Sanctification is “Christ in you, the hope of glory.” Colossians 1:27 It is the gift of His patience, love, holiness, faith, purity, and godliness that is exhibited in and through every sanctified soul. It is His wonderful life that is imparted to me in sanctification – imparted by faith as a sovereign gift of the grace of God. Am I willing for God to make sanctification as real in me as it is in His Word? I know and believe that slowly but surely I can live a life of inexpressible order, soundness and holiness if I continue to spread forth my hands unto a forgiving God to heal the plague in my own heart so that all the perfect qualities of Jesus are at my disposal. The choice is mine alone. On Sunday July 20th I joined the church service late because I had to review a patient in the ward. 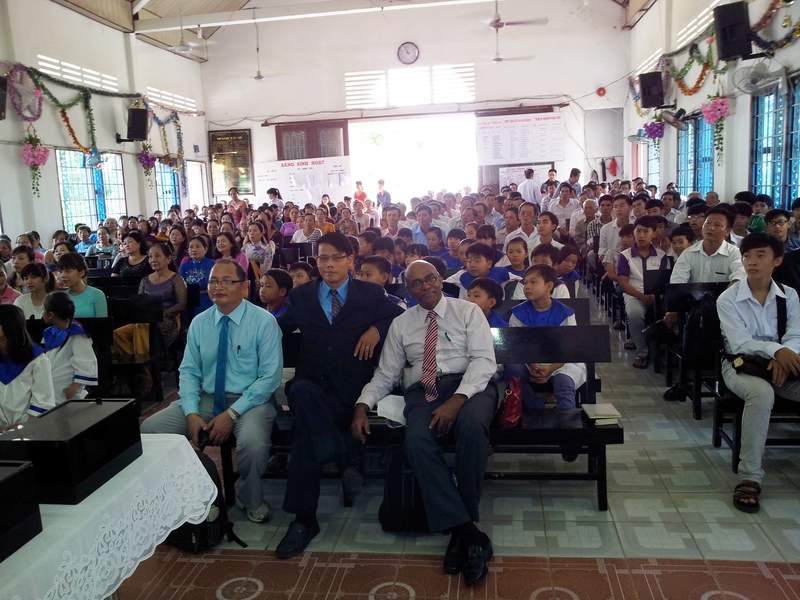 The congregation was listening to a video recording from the Bishop of the Anglican Diocese of Sabah, Bishop Albert Vun, delivering his last message before his death last week. As soon as I entered and took my place with my family, he was at the point of giving his principle headline loud and strong summed up in one word: Nothing. Looking a shadow of himself, he had reached the place of death and his suffering, pain, anguish, struggles had emptied himself of everything and he was now left with nothing…but Jesus. His last question to all of us was this: Would you serve God for nothing? The word “sanctification” derives from the Latin noun “sanctificio”. This original Latin word means “to separate and set aside”. In Deuteronomy 7:6-8 and Leviticus 20:26 the people of Israel were set aside as God’s holy people. Jesus said in John 17:6: They are not of the world, even as I am not of it. This is what God demands of us, demands of me, that I give Him everything until I have nothing left inside of me and that is the process of sanctification and authentic discipleship to Jesus. The will of God is that I separate myself from the world and its pleasures and seek after the holiness of God. This requires the process of dying to oneself and doing away with the passionate pursuits of the heart. The key that unlocks this process of DEATH TO SELF is to first recognize and acknowledge the plague in my own heart. Circumcision of the heart is a painful, life time spiritual ‘surgical’ procedure and I like to explain this in medical terms: The surgeon is the Holy Spirit of God who convicts me of my sin, the anesthesia that buffers the pain is the unconditional love of God and the healer is Jesus Christ the Lord. Conversion and conviction is a daily process that gets me from just standing in front of the cross to getting on the cross and dying with my Lord, daily: Our death in Christ is a death to the old self, the old ways, the sinful life. It is difficult to let go of the old but only the grace and love of God can get us from a place of death to a place of eternal life in Christ. The afflictions of the heart leave us ultimately with…nothing. Only the exchanged life in Christ gives us….everything. Jesus died for my sins once and for all but the process of sanctification is a lifetime walk of holiness with God. Before I became a husband and a father, I was a man and still is one and the struggles of walking in holiness before a Holy God are real because of the plague in my own heart. In sanctification God has to deal with us on the death side. It requires our coming to the place of death. There is a battle before sanctification is realized – something within us pushing with resentment against the demands of Christ. In the process of sanctification, the Spirit of God will strip me down until there is NOTHING LEFT but “myself”, and that is the place of death. Am I determined enough to strip myself of all that my friends think of me, and all that I think of myself and hand over my simple naked self to God? Sanctification is not something Jesus puts in me – it is Himself in me. The Apostle Paul writing to the church of the Thessalonians gives instruction that to do the will of God requires sanctification and an acknowledgement of the plague in their own hearts: 1 Thessalonians 4:3-7: that you should avoid sexual immorality; that each of you should learn to control his own body in a way that is holy and honorable, not in passionate lust like the heathen, who do not know God. For God did not call us to be impure, but to live a holy life. He who rejects this instruction does not reject man but God, who gives you His Holy Spirit. This is the plague in my own heart and I pray, O God, by the power of the Holy Spirit, that I empty myself of ALL that displeases God and walk in the way of righteousness before a Holy God. Amen. Waiting upon the Lord: Waiting upon the Lord brings us into intimacy with God. It is during this time of waiting that we cultivate several virtues of spiritual disciplines that strengthen our walk with God. One is the virtue of solitude. Alone with God. There are times in our lives when we have fallen into a pit and God takes us to a secret place to be alone with Him and hear His voice as he speaks through His word. Eagles always fly alone. My time in Cebu, Philippines recently was one such time alone with God. I had no where to run to but to God. Another is the virtue of observing. In the 40 years Moses spent in the wilderness while waiting upon the LORD, he would have observed the behavior of the eagles in their habitat. In Deuteronomy 32: 11, Moses recited the words of this song before his final blessing on the children of Israel: “…like an eagle that stirs up its nest and hovers over its young, that spreads its wings to catch them and carries them on its pinions, the LORD led him; no foreign god was with him.” Repeatedly, the mother eagle would stir up the nest and in so doing the young eaglets would fall out of the comfort and safety of the nest and then the mother eagle would swoop down and catch them as they fall on her wings and bear them back up to the nest again. A beautiful reflection of how many times our Father in heaven swoops down low to pick us up when we fall and give us the strength through the power of the Holy Spirit to walk on further in our journey to serve the Lord. Waiting upon the Lord also allows us to cultivate the virtue of trust. Repeatedly, the eaglets would fall trusting through training that someday they will be strong enough to fly on their own. Trust requires training and as disciples of Jesus we learn to trust in the Lord as we wait upon Him and lean not on our own understanding regarding the trials and difficulties we face each day. There is no thrill for us in walking, yet it is the test for all of our steady and enduring qualities. To “walk and not faint” is the highest stretch possible as a measure of strength. Abram was ninety-nine years old when the LORD appeared to him and said, ”I am God Almighty, walk before Me…” Genesis 17:1. Having the reality of God’s presence is not dependent on our being in a particular circumstance or place, but is only dependent on our determination to keep the Lord before us continually. Our problems arise when we refuse to place our trust in the reality of His presence. If our everyday decisions are not according to His will, God will press through them, bringing restraint to our spirit. Then we must be quiet and wait upon the Lord for direction of His presence. The Hebrew word for ‘renew’ in Isaiah 40:31 is yichalifu – yi / cha/ li /fu – which actually carries the meaning of ‘to change’ or ‘to exchange’. Those who kaveh – from same root as tikvah / hope – on the Lord will have their weakness exchanged for strength so that they are enabled to rise up and go forward. As an eagle receives new feathers every year as it grows, so, in His goodness – tov – and His faithfulness to His redeemed, He will make new and increase the youthfulness of their souls every year. They can then rise ever higher and closer to His Presence. This is my prayer today: O Lord, teach me to finish what you have begun in my life because it is only by your grace I can walk, run and soar to you on wings of eagles. Help me to watch against unbelief, pride, and self-indulgence. If I go forward in my own strength I know I will fall but teach me to have hope in my heart in You alone Lord so I can and will lay hold of the prize of my high calling in Christ Jesus. Amen. John 15:5, KJV I am the vine, ye are the branches: He that abideth in me, and I in him, the same bringeth forth much fruit: for without me ye can do nothing. At Crossroads: Recently I was at crossroads in my life. I wanted to ‘throw in the towel’, give up everything including APCOD, run away from everyone and hide in a cave and just be alone by myself, seek the face of God and beg for mercy. For the first time in my life I experienced what it is to truly ‘wait upon the Lord’. My mobile phone had (and still has) these words on the screen display wallpaper: “O my God, I am too ashamed and disgraced to lift up my face to you, my God, because our sins are higher than our heads and our guilt has reached to the heavens” Ezra 9:6. Ezra the scribe rose from his self-abasement, fell on his knees, spread out his hands to the LORD GOD and prayed this prayer for the people of Israel (Ezra 9:5). Alone in my room in Cebu, Philippines, I spread out my hands (as instructed by King Solomon in 1 Kings 8:38) and prayed Ezra’s prayer for the plague in my own heart that had now reached the heavens. 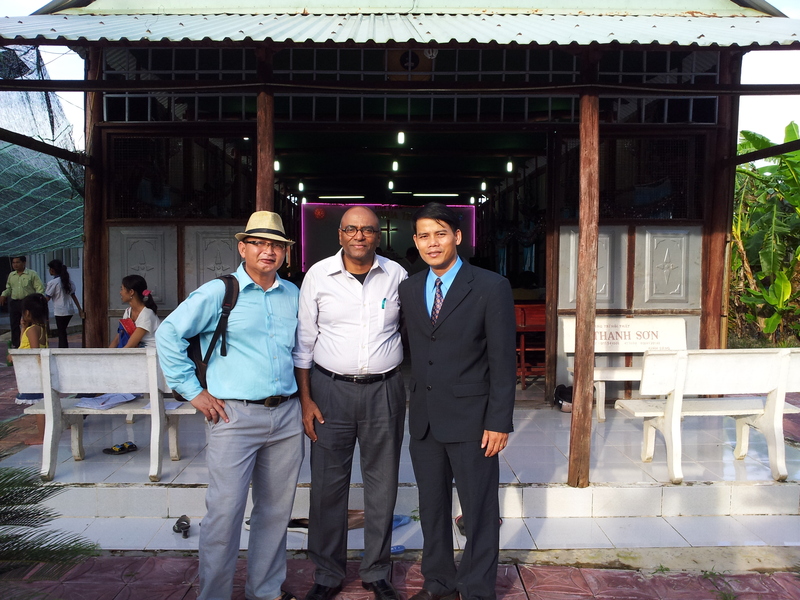 On my return to Kota Kinabalu, Sabah, Malaysia with renewed strength, conviction, purpose and focus, 1 Kings 8:38 became the inscription in my heart for my writings in My APCOD Blog. It is so difficult to ‘wait upon the LORD’ because we live in an ‘instant generation’ where everything is instant – instant tea, instant coffee, instant travel, instant WhatsApp, instant internet and it is difficult to wait to hear from God but the rewards are eternal. I have never started a blog before but my daily Gratitude Journal writings help me begin each day dependent on the presence of God. Wings of Eagles:Renewed Strength: Isaiah 40:31 is such a familiar inspirational verse of Scripture that has brought encouragement to many of us facing various circumstances. How interesting to learn that periodically, after a certain number of years, an eagle will go off to some distant point by itself for a period of time, shed of its old feathers and grow new feathers. It returns to its original habitat with renewed strength looking like a young eagle, though it is many years old. David, the sweet singer of Israel, in Psalm 103:1-5 draws reference of renewed youth like that of an eagle when God forgives our sins, heals all our diseases, redeems our life from the pit and crowns us with His unconditional love and compassion. A wonderful reference of being a new creation in Christ: The old has gone and the new has come! (2 Corinthians 5:17) An eternal reward when we wait upon the Lord. The renewed strength allows us to soar to even greater heights to serve a gracious God. Wings of Eagles: Protection and Deliverance: Another interesting feature about eagles is that they carry their young on their wings for protection. All other birds carry their young in their talons (claws), out of fear of being attacked from above or behind by a larger predator. The eagle fears no other bird but carries its young on its wings so that if it is attacked by man using arrows, it will suffer the injury, not their young. Moses speaking to the children of Israel in the wilderness, after coming out of Egypt, crossing the Red Sea and deliverance from the Egyptians, reminds them in Exodus 19: 4 that they had seen for themselves what God did to Egypt, and how God carried them on eagles’ wings, protected them and brought them to Himself. A reference to protection and swiftness of deliverance when God intervenes in all our circumstances, always protecting us and delivering us from every difficult situation, if only we wait upon the Lord because the battle belongs to the Lord God Almighty. As I look back and see how many times the Lord has carried me on His wings by the power of His Spirit and delivered me from every circumstance of trouble and failure without me even knowing it or appreciating His graciousness to forgive, I am amazed. Corrie Ten Boom wrote these words: There is no pit so deep, that God’s love is not deeper still. I know that the waiting, renewal, mounting, soaring, running, walking have eternal significance as I meditate on God’s word. I thank God, the Father is always there to forgive, heal and renew me daily if I spread out my hands in deep repentance to a forgiving Savior who died for me, reigns and waits for me to appear with Him in glory. Exodus 19: 4: You yourselves have seen what I did to Egypt, how I carried you on eagles’ wings and brought you to Myself. Psalm 103:1-5 A psalm by David: Praise the LORD, O my soul; all my innermost being, praise His holy Name. Praise the LORD, O my soul, and forget not His benefits – who forgives all your sins and heals all your diseases, who redeems your life from the pit and crowns you with love and compassion, who satisfies your desires with good things so that your youth is renewed like the eagle’s. Malaysia Airlines MH-17 is gone. We mourn the loss of many lives and go into prayer and mourning humbly beseeching our gracious Lord to grant these bereaving families peace in their troubled hearts. Lord Jesus, grant us more grace in submission to call you Teacher and Lord every moment of every day so we may appear with you in glory should we be suddenly snatched away from this terrestrial ball called earth. I started this blog to share the dark sides of my life that have been a struggle for me ever since my mouth confessed and my heart believed thatJesus is Lord of my life. Like a ship out at sea, we do not get to see the area below the waterline until the ship is brought in to dock for repairs. The area that requires continual renewal and undoing, at least in my life, is the area of total submission, surrender and abandonment to God. Oh how I pray for more grace that I can taste and see that the Lord is good every moment of the day. As the Psalmist David wrote: Psalm 34:8 O taste and see that the LORD is good: blessed is the man that trusteth in him. On July 31st 1997, in a room in Haggai Institute, Maui, the Lord blessed me with the vision of APCOD – an urgent call towards authentic discipleship to Jesus in every member of every nation in the Asia Pacific region. It was an engaging vision for me, personally, to learn how to call Jesus both Teacher and Lord. “COME FOLLOW ME!” Matthew 4:19. Three words that have changed the face of civilization for the past 2000 years. Invitations can change our life. How we respond to an invitation can change the course of our lives. The whole attitude of my life must be one of total radical obedience to God. The level of my growth in grace is revealed by the way I look at obedience. If my life is now hidden with Christ in God (Colossians 3:3), then God, who is Spirit, and my spirit must be one so I can worship God in spirit and in truth (John 4:24). This is the mystery of redemption that a new creation is given birth. The Apostle Paul writing to the church at Corinth declares in 2 Corinthians 5:17, NIV: Therefore, if anyone is in Christ, the new creation has come: The old has gone, the new is here! This unique and amazing truth allows me to engage in total surrender and obedience to God through the power of the Holy Spirit and yet because of the continued plague in my own heart, the old still continues to reign in many areas of my life. The Apostle James before he asked the question: What is your life? (James 4:14) gives the challenge to all believers in James 4:7,8 NIV: Submit yourselves, then, to God. Resist the devil, and he will flee from you. Come near to God and He will come near to you. Wash your hands, you sinners, and purify your hearts, you double-minded. We should have a much higher view of the word obedience, rescuing it from the mire of the world. Our Lord never insists on having authority over us. He never says, “You will submit to me.” The Lord Jesus gives us the freedom to choose but He does not give us the right over the consequences of our choices in life because He alone is the Judge. But once His life has been created in me through His redemption, I instantly recognize His right to absolute authority over me in every component area of my life because He is Lord. Obedience is only possible between people who are equals in their relationship to each other; like the relationship between father and son, not between master and servant. Jesus had just washed the feet of His disciples to teach them submission to both Himself as Teacher and Lord but also to one another in Christ. Jesus showed this relationship by saying. “I and My Father are one” John 10:30. The Son was obedient as our Redeemer, because He was the Son, not in order to become God’s Son. Galatians 3:26-27; 4:6: You are all sons of God through faith in Christ Jesus, for all of you who were baptised into Christ have clothed yourselves with Christ. Because you are sons, God sent the Spirit of His Son into our hearts, the Spirit who calls out, “Abba, Father”. Jesus washed the feet of His disciples not only to teach them submission to Him as Teacher and Lord but also to one another as disciples of Christ. There have been many occasions when loving brothers have counseled me to walk right and advised me to change direction towards the Lord but because of the plague of pride within my own heart, I have failed to submit to their advice. Lord Jesus, please grant me more grace in submission to call you Teacher and Lord of every component area in my life so I can bear fruit to God as a son of God, … fruit that will last. Amen. If you have already listened to the video message ‘What Is Your Life?’ yesterday by Leonard Ravenhill, at the very end of the sermon Ravenhill invites the people present to sing ‘He is Lord’. I have sung this chorus on many occasions including the verse –‘Every knee shall bow, Every tongue confess that Jesus Christ is Lord’. The question that came to my mind as I sang along with the congregation was: What about my knees and my tongue? If the answer to the question put forward by the Apostle James (James 4:14) ‘What is your life’ is given to us by the Apostle Paul writing to the church in Colosse in Colossians 3:3 ‘Your life is now hidden with Christ in God’, then the fundamental question for me is: Is Jesus really the Lord of every component of my life? There are two ways the Rabbi Sha’ul (as he was called before he became Apostle Paul) could have said this question: Who are you, Lord? in one breath or Who are you…Lord? with a pause after ‘you’. Here was a highly intellectual man from a learned school of scholars, a Hebrew of Hebrews but his encounter with Jesus led to an immediate spiritual awakening that brought him down to his knees. Dr Luke writes in Acts 9:8 ‘Saul got up from the ground…’. Paul’s confession, conviction and conversion to Christ is one of the greatest transformational encounters. The mystery of believing through the miracle of redemption must involve a continued daily process of confession and conviction – Confessionthat Jesus is Lord of my life and Conviction of the plague in my own heart by the power of the Holy Spirit. Repentance is the key that unlocks this mystery of believing. Jesus said, ”Repent and believe” Mark 1:15. There is no faith without true repentance first. There is no real moral virtue in obedience, unless a person recognizes the higher authority of the one giving the orders. Many people begin coming to God once they stop being religious, because there is only ONE master of the human heart – Jesus Christ not religion. But “Woe to me” if after seeing Him I still will not obey (Isaiah 6:5). When I stand face to face with Jesus Christ and say, “I will not obey,” He will never insist. But when I do this, I am backing away from the recreating power of His redemption. It makes no difference to God’s grace what an abomination I am, if I will only come to the light. But “Woe is me” if I refuse the light (John 3:19-21). I know that I struggle in this deep dark area of submission in my soul that is below the waterline that no one but God can see. How often I fail to acknowledge Jesus the Lord of every component area of my life because of the plague in my own heart. It is only by the saving grace of God through faith in Jesus that compels me to continue to confess with my mouth the Lord Jesus and be convicted daily of sin (plague) in my heart so I can walk in radical obedience to the Lord. Perseverence in faith is a long journey in one direction until we appear with the Lord Himself in glory. Amazing grace! Romans 10:9, KJV That if thou shalt confess with thy mouth the Lord Jesus, and shalt believe in thine heart that God hath raised him from the dead, thou shalt be saved. July 18 @ 12.30pm FAITH’S Checkbook: Charles Spurgeon: – Do we not remember when the Lord first cast a spell upon us and charmed us away from the fascinations of the world? He will do this again and again whenever He sees us likely to be ensnared by evil. In the deserts of affliction, the presence of the Lord becomes everything to us, and we prize His company beyond any value that we set upon it when we sat under our own vine and fig tree in the society of our fellows. Allured by love, separated by trial, and comforted by the Spirit of Truth, may we know the Lord and sing for joy! The only time I have set my alarm clock to wake up at 3am in the morning and stay awake till 6.30am was to recently watch the final of the World Cup football. But this morning it was different because it truly was a meeting with God at 3am. The Lord ministered to me through His word and through the message by Leonard Ravenhill based on the question from the Apostle James: What is your life? 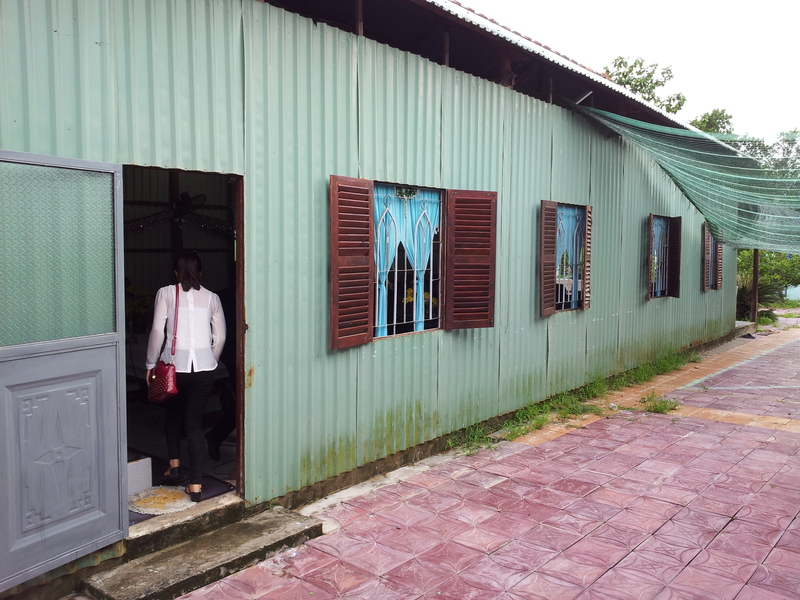 So much has been planned for today – clinic to attend to, family matters, bank visits that need attention, registered letters to be collected from the Post Office, entertain guests from Kuala Lumpur… but where is God in all these plans for today? What is my life? This is a very personal question that needs urgent attention and conviction. Quoting Leonard: Anyone can scramble eggs, but who can unscramble them? I cannot undo how I have lived my life until now but I can seek God for His light through His word to make my pathways straight so I do not fall away from the Lord from now on. – God made us for Himself and we will never ever be satisfied until He comes and fully occupies and dwells inside our lives. – There are two kinds of people in the world: There are those who are dead in sin, and there are those who are dead to sin. – Jesus said, “I am the way – (without Him there is no going), I am the truth – (without Him there is no knowing), I am the life – (without Him there is no growing). – The more dominion we have in our hearts, the more dominion we have in prayer. – The world is not waiting for a new definition of Christianity, it is waiting for a new demonstration of Christianity. – We only seek entertainment when we have lost the joy of the Lord. – If Christ has been born in me, He wants to live in me, He wants to talk with me, He wants to walk with me and He wants to work through me. Is the world crucified to me or does the world still fascinate me? Leonard gives the answer to the primary question put forward by the Apostle James ‘What Is Your Life’ in Colossians 3:1-4 :- My past – verse 1: Raised with Christ; My present – verse 3: Dead to the world; My future – verse 4: When Christ, who is your life appears, then you will appear with Him in glory. Question: What Is Your Life? Answer: Colossians 3:3,4 For you died, and your life is now hidden with Christ in God. When Christ, who is your life, appears, then you will also appear with Him in glory. The CAUSE of the plague in my own heart: Eaten up with lust of the eyes, lust of the flesh and the pride of life – which comes not from the Father but from the world (1 John 2: 15-17). The TREATMENT of this spiritual disease of the plague in my own heart is: Colossians 3: 5, 8 Put to death, therefore, whatever belongs to your earthly nature: sexual immorality, impurity, lust, evil desires and greed, which is idolatry. Rid yourself of all such things as: anger, rage, malice, slander and filthy language from your lips. A heartful lesson for me to abide in Christ, always, and to do His will so when Christ appears I will be with my Lord in glory. Only what’s done for God will last. Jesus urges us to keep our minds filled with the concept of God’s control over everything, which means an attitude of perfect trust and eagerness to ask and seek. Jesus said there are times when God cannot lift the darkness from you, but you should trust Him. At times God will appear like an unkind friend, but He is not; He will appear like an unnatural Father, but He is not; He will appear like an unjust Judge, but He is not. Keep the thought that the mind of God is behind all things – strong and growing. Not even the smallest detail of life happens unless God’s perfect will is behind it. Therefore, you can rest in perfect confidence in Him. perfect trust…perfect will…perfect confidence…”how much more will your Father who is in heaven give good things to those who ask Him!” Amazing God, how great is His faithfulness. As I reflect on this morning’s reading of God’s word, I am reminded of how uncertain, difficult and helpless and ‘not in control’ of the situation I was in yesterday. It is so difficult at times to just let go and let God be God. It is in my very nature to always be in control of every situation (like most doctors!) and this has been a hindrance to knowing God’s perfect will for my life and to be able to have full perfect trust and perfect confidence in Him. Yesterday was my son David’s birthday. He had just turned 21 years old and David was 1009 flight miles away studying in medical college and as a Father my heart was yearning and longing to see him, wish him, hug him and pray with him. I called him at 6.30am, 9.30am, 12.30pm and finally he returned my call at 3.30pm saying as usual, “Dad,…why?” as if the day was like any other day! A Father’s heart is always a heart that longs to embrace the heart of a child, never wanting anything more but just to know that all is well. We prayed over the phone and I shared that in all things we should acknowledge knowing God as the first priority in our lives. In the evening as a family we gathered together around…guess what?…my mobile and with the speaker on we prayed together as a family for David and all of us wished him a blessed birthday in unison! Thank God for mobiles!! Yet, I was restless the whole day uncertain what was happening to him on this special day in his life. I wanted so much to be in control of the whole day for him. If only my mind was filled with the divine concept of God’s control over everything, I would have found rest. There is not even the smallest detail in our daily lives that our heavenly Father is not aware of. Our struggles, our uncertainties, our difficulties, our darkest moments and I am still learning even in this final stage in my life to allow God to take control of every situation and every detail because I know He will. I know I fail in this rule of conduct every day. I hurt the ones closest to me everso often and I pray that God’s Spirit will strengthen me to walk right while it is yet still Day so that my asking…my knocking…my seeking God’s perfect will in my life each day will not be hindered becauseof the plague in my own heart. FAITH’S Checkbook – Charles Spurgeon 16th July @ 12.05pm Lord, though I halt in faith, in prayer, in praise, in service, and in patience, save me, I beseech You! Only You can save such a cripple as I am. Lord, do not let me perish because I am among the last, but gather up by Your grace the slowest of Your pilgrims, even me. Today is our son David’s birthday. He turns 21 years old in the Lord. A milestone and we thank God for His faithfulness and protection over David. An olive shoot (in most other bible translations) now a plant growing round about our table before the Lord. I never knew how significant the olive tree was until I went to Jerusalem in May 1996 for the Shavuot Conference. It was a time and season when the Lord blessed me with the vision for APCOD. It is in Jerusalem that the significance of Roman 11: 17 took root into my life that I was then a ‘wild olive root’ (Gentile) and now by the saving grace of God through faith in the Lord Jesus Christ, I am grafted into the nourishing sap that comes from the olive tree which is the symbol of the Abrahamic covenant of faith in God. Amazing grace! Psalm 128: 1 begins with a blessing…”Blessed are all…”. In Malaysia, the country prides itself with a twin towers building called the Petronas Towers. In Psalm 128 the ‘twin tower’ that stands tall and upright with the ‘tower of blessing’ is for those “…who fear the Lord and walk in His ways’. There is no blessing without fear of the Lord because only then will we eat the fruit of our labour and enjoy the blessing and prosperity the Lord intends for us and our family. Only then can the olive shoots round our table grow to become olive plants rich in the anointing that comes from the Holy Spirit. Again, the ‘twin towers’ of Psalm 128: ‘Tower of Blessing’ and the ‘Tower of Fear of the Lord’. The fear of the Lord is the cornerstone for all blessing. What a challenge for me to be faithful in my daily walk in the Lord so the olive plants round our table will be blessed. It is difficult but we trust the Lord for His strength and wisdom to fear Him, always. “Ma’alot” is the plural of the Hebrew word “Ma’alah”, which means “step”, “degree” or “ascent”. Psalms 120 through 134 represent the cycle of ascension or pilgrimage songs, in Hebrew “Shirei ha Ma’alot”. Once they were sung on the occasion of the great feasts of pilgrimage – Passover, Shavuot and Sukkot – on the way up to Jerusalem and eventually on the steps of the temple. Oswald Chambers begins with these words: This verse reveals the humiliation of being a Christian. Is it possible not to hit back at any personal insult or rebuke from someone knowing you are in the right or not done anything wrong? A few weeks ago I was severely tested to the point of nearly declaring and revealing to the whole world the total depravity of my soul. I was about to leave for Cebu, Philippines to attend to spiritual matters concerning APCOD, a Christian conference on discipleship to Jesus. I have been doing this for the past 5 consultations over the past 15 years and each time before I embark on this most privileged calling, I know that spiritual warfare is at the door. I had just operated on a 12 year old child for a severe injury to the chin area. This wound had been poorly attended to in another hospital and after 4 days of infection, the family sought my professional advice. A second surgery was performed to remove all the non-viable tissues and re-suture the wound. However, on the following day of discharge after the surgery was done, the family did not wait to settle the hospital bills and no insurance claim was approved and they chose to leave the hospital ward without approval and against medical advice. I was advised by the hospital authorities to wait for the insurance claim to be approved before proceeding with any further treatment the next day. A week later the family brought the child to the clinic for review and I noted a well-healed wound and the child had recovered well. However, that very night my wife informed me that her friends had sent her a facebook posting of the most unkind, repulsive, defaming, caustic remarks by a family member against me that I should not have listened to the hospital’s advice to wait for insurance approval first before proceeding for further treatment the following day. The true story of the real situation that they left the hospital ward without any notification, refused to pay any hospital bills the day they left, refused to wait for the insurance approval of their claim, was never mentioned. Just a personal cyberspace abuse against a doctor who was only performing his duty to make sure the wound healed and the child recovered well. Like wild fire, the whole country would have read about this unfair, malicious, unkind attack on facebook. What hurt me most was when my daughter came home from College and informed me that all her friends were talking about this accusation and repulsive remarks against me.The hospital authorities advised me to take legal action against the family for this national defamation now known to the whole world that I am an unscrupulous doctor, according to the family. I had only ONE answer to the Chief Executive Officer of the hospital – His Name is Jesus! There is no other name above His name. In the medical field, as doctors we are trained to face two eventualities: Life, as when a child is born, and Death, as when a patient dies. So too in the Scriptures, there are always two dimensions to all of life – Light, as God is light, and Darkness, as what is in the world. “In the year that King Uzziah dies…A nation is in mourning. There is darkness and the people are living in the shadow of death. King Uzziah of Judah had a long and distinguished reign, as described in 2 Chronicles 26 and in 2 Kings 15:1-7.He reigned 52 years. He was a good, strong king and he did what was right in the sight of the LORD. As long as he sought the LORD, God made him prosper. However the plague of his own heart led him to destruction. In 2 Chronicles 26:16, 21 we read: But after Uzziah became powerful, his pride led to his downfall. He was unfaithful to the Lord his God, and entered the temple of the Lord to burn incense on the altar of incense. God struck him down with leprosy. He lived in a separate house – leprous, until his death and excluded from the temple of the Lord. A warning for our own lives. Pride is the forerunner of destruction (Proverbs 16:18). Sin separates us from a Holy God. Isaiah had every reason to be downcast, discouraged and disillusioned as his earthly king was no more on the throne but where was the LORD God in all this? In the midst of darkness and despair Isaiah saw a vision of the LORD God seated on His throne. The result: Conviction, Conversion and Calling was upon the life of Isaiah. He was undone, ruined when he saw the vision of the LORD. My priority must be God first, God second, and God third until my life is continually face to face with a vision of God. There is a price to pay. I must allow God to search my own heart every day and reveal the plague in my own heart. What I need daily is God’s surgical procedure, a circumcision of the heart – His use of external circumstances to bring internal purification. God reigns sovereign. In the midst of all our circumstances, God is still Sovereign LORD, He alone is above all. No matter how dark our current circumstances may be, we must surrender to God and desire that extraordinary life that is led by a vision of God that is greater than ourselves. In plastic surgery, I am always having to take measurements for nearly every procedure from skin cancer to body sculpturing. The final result must show an improvement which is recorded in the patient’s case notes. So too in my spiritual life, am I measuring my life’s gain of the knowledge of Jesus Christ or am I measuring my personal gain of His blessings to me? To fulfil God’s plan and purpose for me requires first a reconciliation of my relationship to God and restoration can only begin with total surrender and complete abandonment of myself to Him. Whenever I want things for myself, the relationship is distorted. We cease to be spiritual beings when we become self-seeking, only interested in what we can get from God. Our needs, our wants, our blessings. Authentic discipleship to Jesus is not to take the initiative toward self-realization but toward knowing Christ and to serve Him only. Our circumstances in life never happen at random. There is no dichotomy between secular and the sacred. Every situation must be viewed as the means of gaining greater knowledge of Jesus Christ our Lord. If I have committed a sin in my heart today against God, then the self-realization of the ‘plague in my own heart’ must lead me to repentance and to develop an attitude of UNRESTRAINED ABANDONMENT and TOTAL SURRENDER to God. This is the work of God, the Holy Spirit. David cried out in Psalm 51: 4, 11 Against you, you only have I sinned and done evil in your sight… take not your Holy Spirit from me. Self-realization only leads one to glorification of good works, whereas a broken spirit and a contrite heart (Psalm 51:17) glorifies God through his good works. My walk today before the Lord must be to achieve the realization of Jesus Christ in every set of circumstances I face today. 3.59 pm FAITH’S Checkbook – Charles Spurgeon – NEVER SEPARATED FROM GOD John 11:26 And whosoever liveth and believeth in Me shall never die. Believeth thou this? Corrie ten Boom said these words: There is no pit so deep that the Lord’s hand is not deeper still. How refreshing, how comforting, how wonderful is our God – His hand is always deeper still. God always has His hands open for us – but like the central theme of my APCOD blog – 1 Kings 8:38 Solomon prayed that may the sinner who acknowledges the ‘plague in his own heart’ stretch forth his hands towards the house of God….repent and be healed. “Joshua said to the people, ‘You cannot serve the LORD…'” Joshua 24:19 – Do we have the slightest reliance on anything or anyone other than God? It really is true to say, “I cannot live a holy life,” but I can decide to let Jesus Christ make me holy. Is my relationship with God sufficient for me to expect the LORD to exhibit His wonderful abundant life in me? 3.06 pm – FAITH’S checkbook – Charles Spurgeon-FAITHFUL & USEFUL Psalm 101:6 Mine eyes shall be upon the faithful of the land, that they may dwell with me; he that walketh in a perfect way, he shall serve me. “…choose for yourselves this day whom you will serve…” Joshua 24:15. 1.31pm – FAITH’S checkbook – Charles Spurgeon Psalm 34:7 The angel of the LORD encampeth round about them that fear him, and delivereth them.